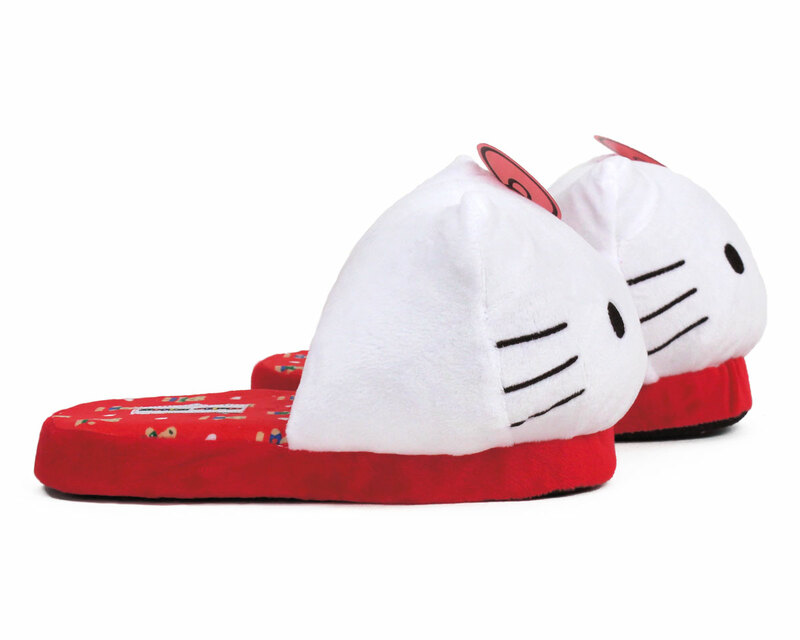 Hello and Konichiwa!! 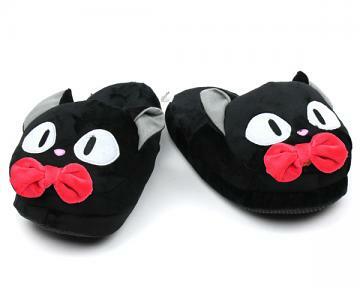 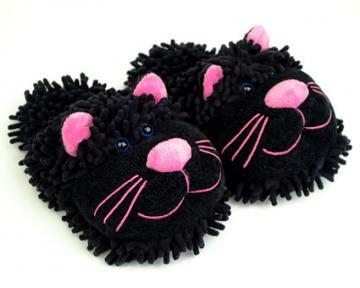 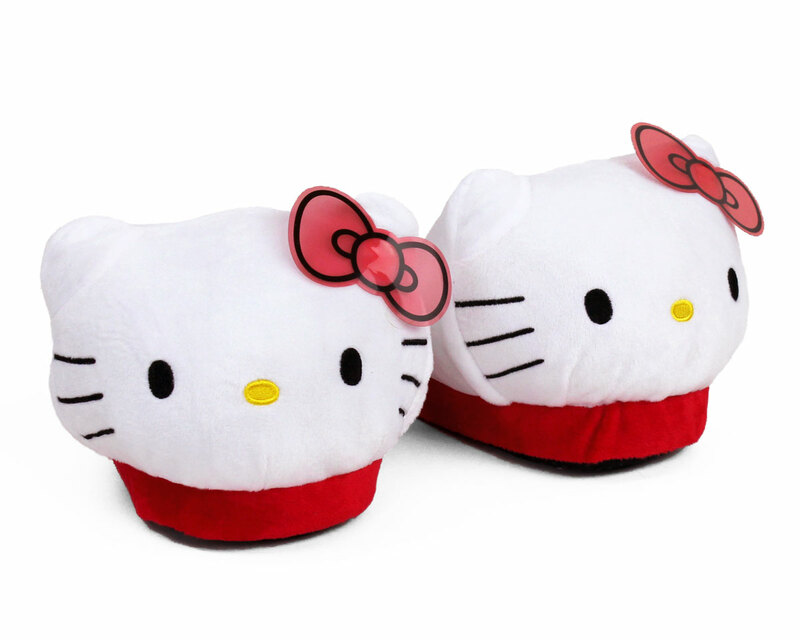 These comfy plush slippers capture the iconic Sanrio character Hello Kitty. 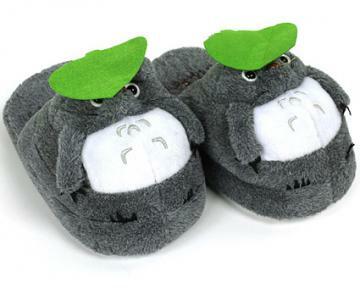 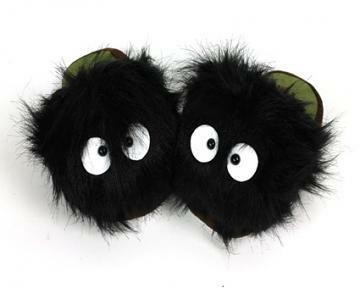 With embroidered eyes, noses, and whiskers, and a PVC bow applique, these slippers embody the Japanese spirit of “kawaii,” or ultimate cuteness! 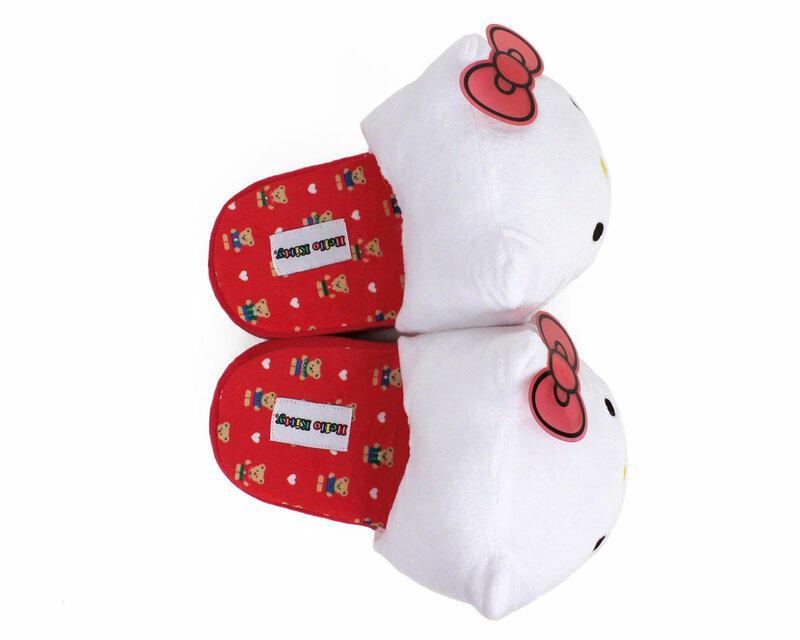 Footbeds are lined with velvety soft fabric featuring teddy bears, hearts, and the official Hello Kitty logo. 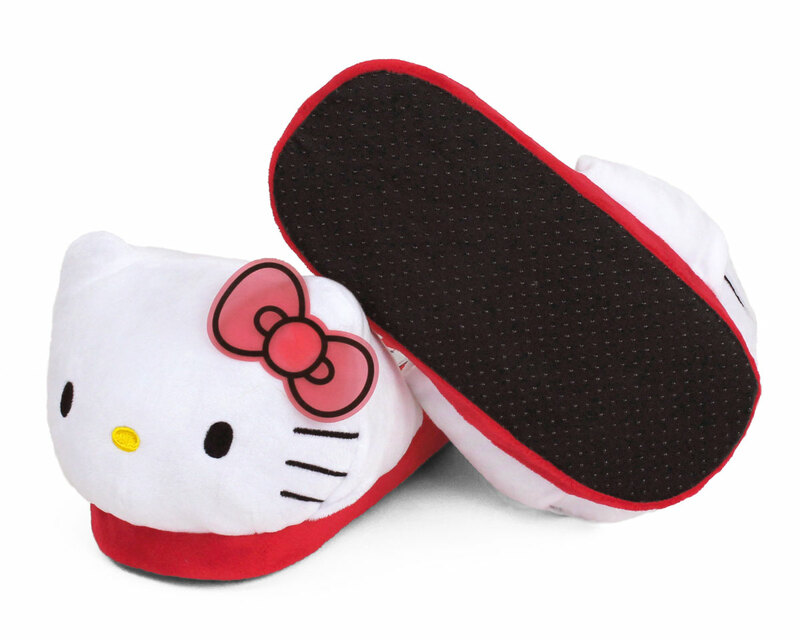 Made with soft plush heads and non-slip grips on soles. 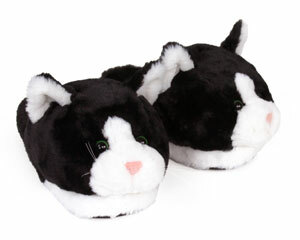 The memory foam soles make you feel like you’re walking on clouds!